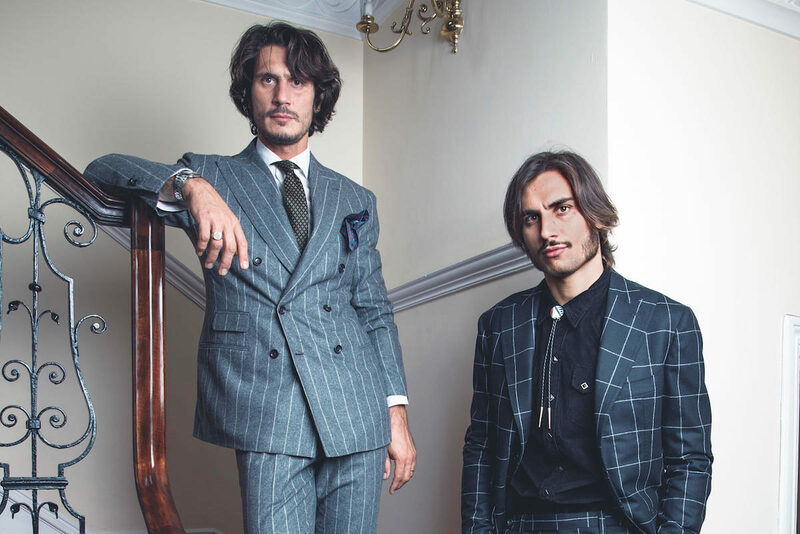 Sebastiano and Sergio Guardì, the Italian brothers behind Barbanera shoes, lift the lid on their personal style treasures. "A well-dressed man with ugly shoes,” according to one of Sebastiano and Sergio Guardì’s favourite style apothegms, “is nothing but a man with ugly shoes.” It’s an ethos on which Barbanera — Italian for ‘blackbeard’ — was founded by the Sicilian siblings, along with Milan brothers Alessandro and Filippo Pagliacci, in 2011. There are a number of tributaries to the torrent of excellence that is the Guardìs’ work: their father’s love of art and antiques; the interplay between Sergio’s penchant for sixties American rock and psychedelia (he’s a former band member) and Sebastiano’s yen for classic Italian silhouettes; the pair’s adoration of motorcycles (see the two-toned riding boots they produce); and their relative youth. Intriguingly, though, another fierce wind in their creative sails is the fact they don’t come from an ancient cordwaining family — that they’re able to harness the free-spirited innovation that comes from entering a new sphere and learning about it from scratch. It takes men of taste to execute such a mission with aplomb. And as these artefacts demonstrate, taste is something Sebastiano and Sergio have in spades. Click through the images below for details. Originally published in Issue 56 - subscribe here.